Start with a strong foundation. Phoenix Systems has wired over 30,000 homes since 2000. From rugged enclosures to high-performance outlets, wall plates and connectors, Phoenix Systems provides a smooth installation that’s designed to last. Structured wiring forms the backbone of any home. 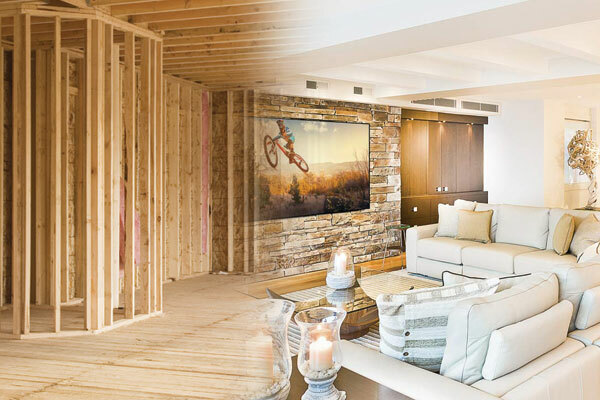 High performance Cat 5 and Cat 6 cabling, professional distribution modules and convenient connectors provide the infrastructure base that brings homes to life. Phoenix enclosures keep modules, power supplies and cabling organized for speedier installations and long-term durability. When it comes to connection points, Phoenix leads the industry in professional connectivity solutions for homes and offices. Our broad range of connectivity products, ranging from home theater straps to data jacks to Keystone wallplates and inserts, ensures a reliable, clutter-free connection each and every time. Complete your install with our line of stylish wallplates – available in both decorator and Studio options – that turn any outlet or strap into a work of art.